At the beginning of the semester I had a fantastic opportunity to listen to and meet in person Dr. George Siemens and Dr. Dragan Gasevic, who is originally from Serbia but lives in Canada. Their talk on The Future of Learning and the Tools That Will Support It was inspirational and uplifting and it can be found here: The Future of Learning and ProSolo. Just like the fall semester, the spring semester started with a nice lunch at the Nittany Lion Inn and a game - but this time it was basketball, not football. Just like in the fall semester, now again there are lots of readings for the classes and there are also lots of different books that I want to read and have already borrowed from the huge PSU Library. 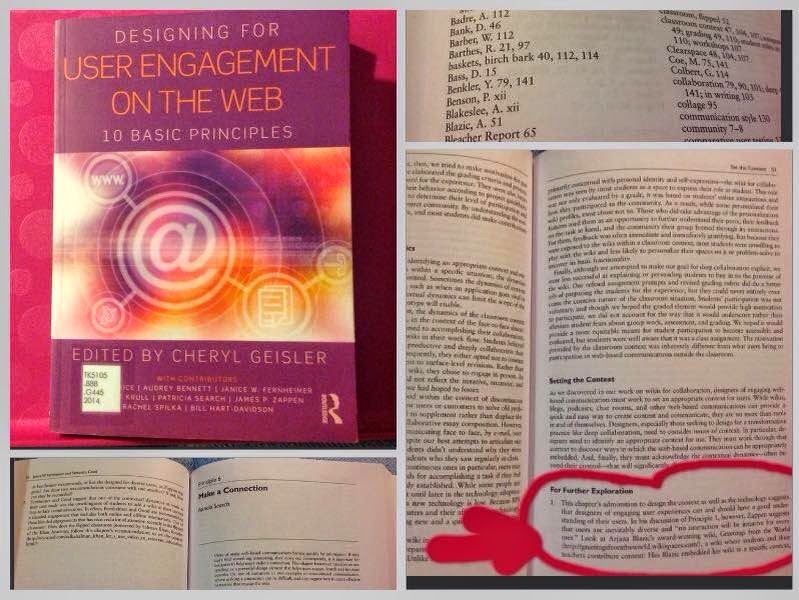 So as I was reading Designing for User Engagement on the Web: Ten Basic Principles, I stumbled upon my name and my wiki project Greetings from the world as a recommendation for further exploration! What the authors think it could be worth exploring is whether I have designed my wiki for a specific context or for diverse users! Are these two consistent with one another and if not how they can be reconciled? That's an interesting perspective and perhaps I might look into it one day, but right now it just feels great to be on the Index Page together with Christensen, Hofstede, Rheingold and other guys whose papers I've been reading for my classes at Penn State. And BTW, I finally wrote a piece about Coursera Kids.